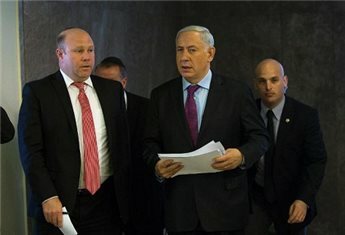 Israeli Prime Minister Benjamin Netanyahu Sunday expressed concern Sunday at the progress of talks between world powers and Iran, saying that Tehran still sought to acquire a nuclear arms capability. "I view with concern the fact that Iran believes that it will realize its plan to become a threshold nuclear state with an enrichment capacity that it thinks cannot be touched, with the ability to develop both nuclear weapons and inter-continental missiles, which it is continuing to work on unhindered,"
he said in remarks relayed by his office. Germany -- with the United States, China, Russia, Britain and France -- is a member of the P5 + 1 group seeking to forge a lasting nuclear accord to resolve a decade-old stand-off over Iran's nuclear ambitions. 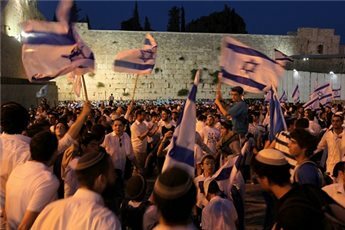 People in Israel are living in "terror" with no personal security, a leading observer and commentator has claimed. 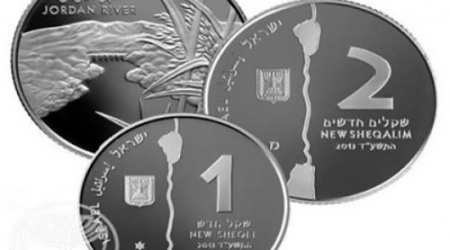 Jospeh Shapira said that Israeli citizens are afraid to leave their homes and that this is having a negative effect on the economic life of the country. Shapira made his comments following the increase in violence of Israeli mafia turf wars which have spiralled out of police control. He was speaking to Maariv newspaper, which posted the interview online. In response, the head of the Investigations Division at the police and intelligence services, Minnie Yitzhaki, said that he never cancelled his own family trips out of fear of mob violence. He pointed out that the Israeli police force is strong. "There are many countries in the world where people are afraid to leave their homes at night, so this means that Israel's situation is much better." Shapira retorted, "Don't you feel the atmosphere of horror and fear when you leave your house?" 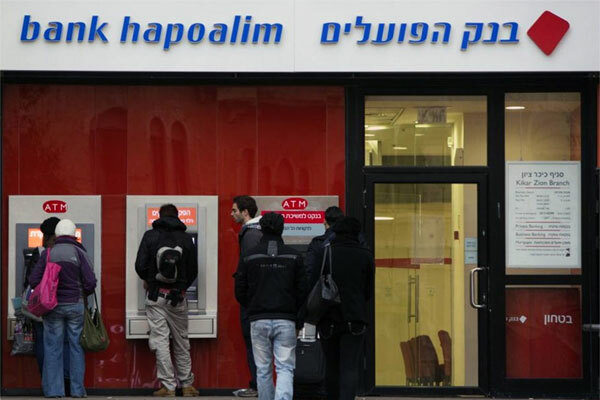 Yitzhaki agreed that he feels afraid, "but this doesn't prevent me from leaving the house and going to the cinema or doing any other activity." Israeli mafia gangs have been responsible for a number of deadly incidents recently, making life intolerable in the eyes of many Israelis. It is rare that a week passes without a mob assassination attempt leading people to complain about the lack of personal security in the streets and their homes as the police appear to be unable to stop the phenomenon. Israel has started a secret operation to send African asylum seekers to Uganda, a senior government official said. The official said that in the past month dozens of asylum seekers agreed to be moved there. A Sudanese citizen, who left Israel for Uganda last month, said he was on a plane with six other Sudanese asylum seekers. They had all agreed to be moved to Uganda in return for being released from Saharonim detention center, Negev. The man also said he had received $3,500 for leaving the country as part of Israel's "voluntary departure" procedure. Haaretz quoted the director of the Hotline for Refugees and Migrants, Reut Michaeli, as saying on Wednesday, "The State of Israel is proposing to asylum seekers a return to Uganda with no assurances or official agreement," She added that as far as her organisation knows, the asylum seekers will not receive legal status in Uganda and they will not have any papers allowing them to leave if they want to. "In addition to all that, it is known that Uganda deports asylum seekers to their countries of origin," Michaeli pointed out. Interior Minister Gideon Sa'ar said on Wednesday that it was projected that this month some 1,500 asylum seekers would be leaving Israel, compared to 765 in January, 325 in December and 63 in November. 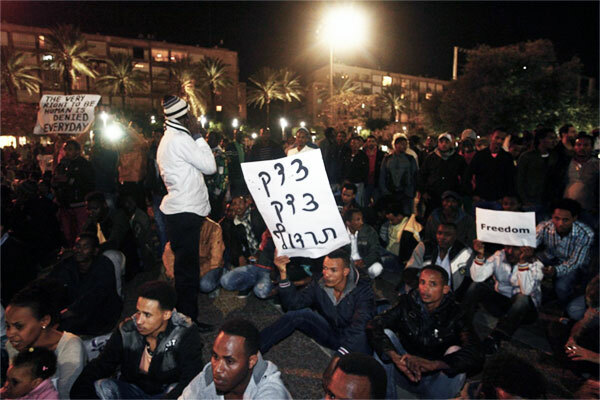 Meanwhile, hundreds of asylum seekers marched in protest of the new procedure, from the Holot detention centre in the desert to Tel Aviv. They are calling for the release of all the detainees and asking that their asylum applications be processed. According to the Population and Immigration Authority, as of September 2013 there were 53,646 asylum seekers from Africa in Israel, including 13,249 Sudanese and 35,987 Eritreans. 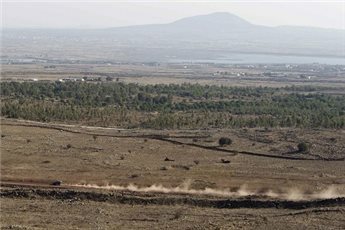 Two rockets fired from war-torn Syria struck the Israeli-occupied Golan Heights Tuesday shortly after a secret visit to the area by Israeli Prime Minister Benjamin Netanyahu, Israel's army said. 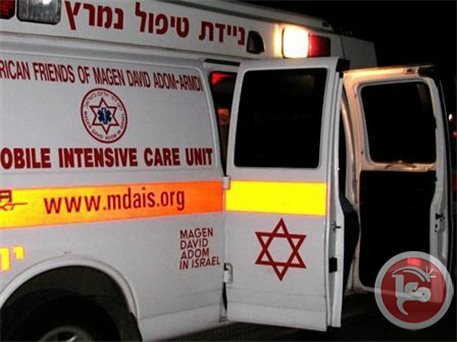 Four civilians were killed on Sunday afternoon and 29 others were injured after a roadside bomb was detonated near a bus carrying civilians near the Taba checkpoint in the Sinai Peninsula close to the border with Israel. Sinai ambulance services director Khalid Abu Hashem told Ma'an that the blast occurred as a tourist bus was passing by the site where a bomb had been timed to detonate. He said that three Korean civilians and the Egyptian bus driver were killed while 29 others were injured as a result of the attack. Remains of individuals who were still unidentified but were suspected to be Korean citizens were found in the vicinity of the explosion, he added. An Egyptian security source told Ma'an that the bomb was detonated remotely, and that helicopters were preparing to take the injured to Cairo hospitals. Israeli sources said that there were no Israeli tourists on board the bus at the time of the explosion. 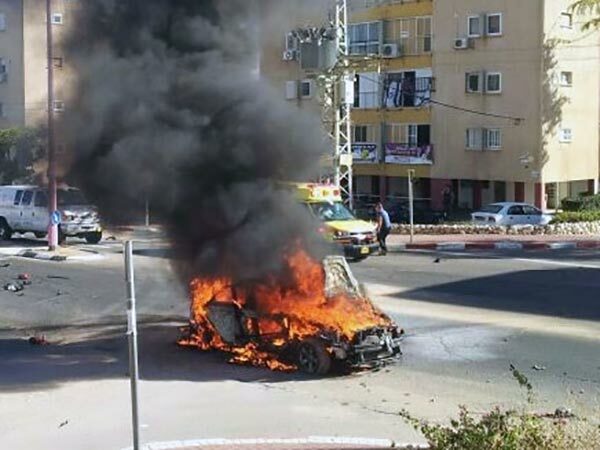 The sources said that the huge blast was heard in the resort city of Eilat in southern Israel. The attacks have been claimed by Wahhabi militant groups, who have taken advantage of the lawlessness in the region to target government forces and civilian targets across Egypt. A bomb tore through a bus carrying sightseers near an Egyptian resort town bordering Israel on Sunday, killing at least three tourists and wounding 14, police said. The bus was carrying 33 tourists near the south Sinai resort town of Taba when it was hit by the blast, police officials said. A spokesman for the Israel Airports Authority, which is responsible for border security, told AFP that the Taba crossing had been closed in the wake of the blast. No one immediately claimed responsibility for the attack. 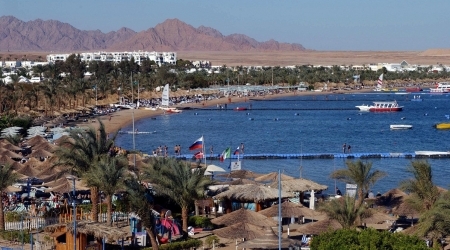 The current unrest in Sinai Peninsula has severely hit tourism, a vital earner in Egypt, which has been targeted sporadically by militants over the past two decades. A speech by the European Parliament president Martin Schultz at the Israeli Parliament, the Knesset, last week, drew spasmodic reactions from several Jewish lawmakers. In his speech, Schultz said a young Palestinian had asked him why Jewish settlers in the West Bank can use 70 cubic meters of water while the Palestinians can only use 17. Moreover, the European official said that the Gaza siege was causing distress. His uncontroversial and manifestly correct remarks were met with unusually rabid reactions by several Knesset members, including those affiliated with the pro-settler Bayt ha-Yehudi party (Jewish Home), who heckled the man, calling him a liar. The truth of the matter is that Schultz was quite sparing and almost innocuous in his criticism of Israeli treatment of the Palestinians, both in the West Bank and the Gaza Strip. According to the Israeli human rights group B'tselem, which monitors Israeli persecution of Palestinians, discrimination against Palestinians in water allotment is well-known. A leaflet issued by B'tselem immediately after the Schultz controversy pointed out that there is a conspicuous discrimination against the Palestinians with regard to water allocation. "And, yes, Israel is absolutely responsible for this discrimination." The B'tselem report, quoting official data from the Israeli water company, Mekorot, an Israeli citizen receives an average 100-230 litters of water per day whereas a Palestinian citizen in the West Bank and the Gaza Strip receive only 73 litters of water per day. In some parts of the West Bank, such as the northern town of Jenin , the individual's share of water doesn't exceed 38 litters. The Nazi-like Israeli lawmakers got upset when Schultz fleetingly reminded them that Israel 's 8-year criminal siege on Gaza was causing a lot of distress. Well, the word "distress" is a actually scandalous understatement. The death of thousands of innocent Gazans as a result of the shortage of medicine due to that criminal siege is certainly more than just a "distress." Human rights organizations have meticulously documented the appalling human costs of the enduring Israeli blockade. This callous and inhuman blockade is not intended to fight "terror" as the Israeli propaganda keeps claiming. The murderous siege is rater intended to further torment Gazans in order to make them turn against Hamas. Needless to say, causing innocent people, including babies, to die for political reasons is a Nazi behavior par excellance. And Israel has been doing this knowingly and deliberately. In the final analysis, the "real issue, " as far as the Israelis are concerned, has very little to do with the facts. Israel knows too well that it discriminates against Palestinians in every conceivable sphere. Israel murders Palestinians on a daily basis. Gestapo-like Israeli soldiers murder Palestinians, including children, with a shocking ease. Israel actually wishes the Palestinians would disappear from the face of earth so that Jews could have a utopian Talmudic kingdom where non-Jews are enslaved as "wood hewers and water carriers." These facts are well known and should not be subject to journalistic or academic investigation. So what is the real issue? Well, without mincing words, the real issue is simply that some, probably many Israelis, would want to see Germany and Europe, probably the whole western world, embraces Jewish Nazism in Palestine as a way of atoning for the Holocaust. This is exactly, what Bayt Hayehudi MPs had in mind when they charged that the EU official was "lying in German!!!" 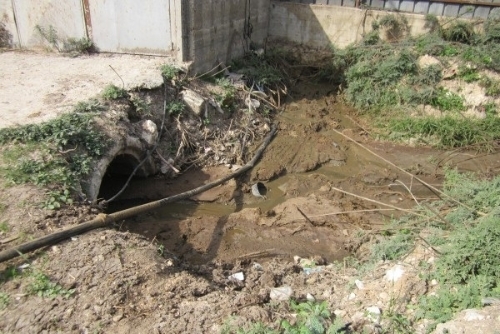 So the real issue is not water discrimination or distress in the Gaza Strip. The real issue is how the whole world ought to relate to Jewish Nazism in the West Bank ? Israel simply wants Europe and the rest of the world to ignore Israel 's institutionalized racism and criminality against the Palestinians and pretend it didn't exist. That is the crux of the matter. The rest is just beating around the bush. Some people might object to the comparison of Israeli behaviors against the Palestinians with Nazi behaviors during WWII. And they might be correct in a certain sense. It is true that Israel is not annihilating Palestinians in concentrating camps. But Israel is trying to annihilate the collective national existence of the Palestinian people. Israel is preventing five million Palestinians from returning to their homes. Israel has been carrying out a rabid lebensraum policy in the West Bank . Israel is trying to obliterate the Palestinian identity of Jerusalem just like the Nazis tried to Germanize neighboring lands and territories. Israel is also imposing a nearly hermetic siege on 2 million Palestinians in Gaza whose only guilt is their "audacity" to elect a government that Israel and her guardian-ally, the U.S. don't like. 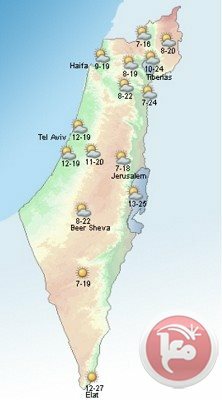 Moreover, Israel , thanks to its lebensraum policy and the intensive construction of Jewish colonies in the West Bank, especially East Jerusalem , has effectively decapitated any remaining prospects for the establishment of a truly viable and territorially contiguous Palestinian state worthy of the name. And, in the meanwhile, Israel is continuing unabated to narrow Palestinian horizons in an effort to force millions of Palestinians to leave their ancestral homeland. I believe it is both immoral and inhumane for Israel and Jews to either tacitly or explicitly demand the world to show a special understanding toward Israeli Nazism in Palestine in deference to the victims of the Holocaust I believe this is unethical behavior on the part of Israeli politicians and officials is a moral affront to the victims of Nazi crimes. In the final analysis, the victims of the Holocaust, their children and grand children, lose, not gain, the moral high ground when they behave toward their victims as their former tormentors treated them. 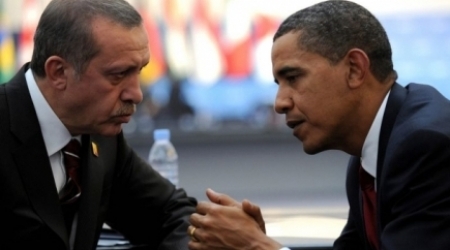 "The action of some of our United States Zionists will prejudice everyone against what they are trying to get done. I fear very much that the Jews are like all underdogs. When they get on the top, they are just as intolerant and as cruel as the people were to them when they were underneath. I regret this situation very much because my sympathy has always been on their side." I think Truman's views have long been vindicated by Israeli behaviors.